Duration : 3 hour 30 mins. 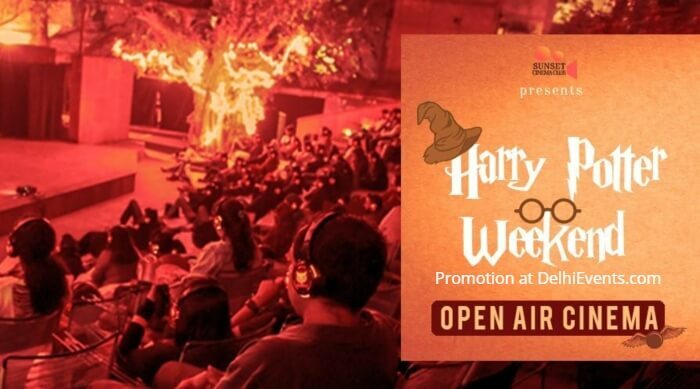 Behold New Delhi as Sunset Cinema Club unlocks the door to bring back the magical world of Hogwarts to the capital. Potter heads prepare your portkeys to lead you to SCC Peepal Tree at Akshara Theatre for a very special open air cinema experience featuring Harry and friends.